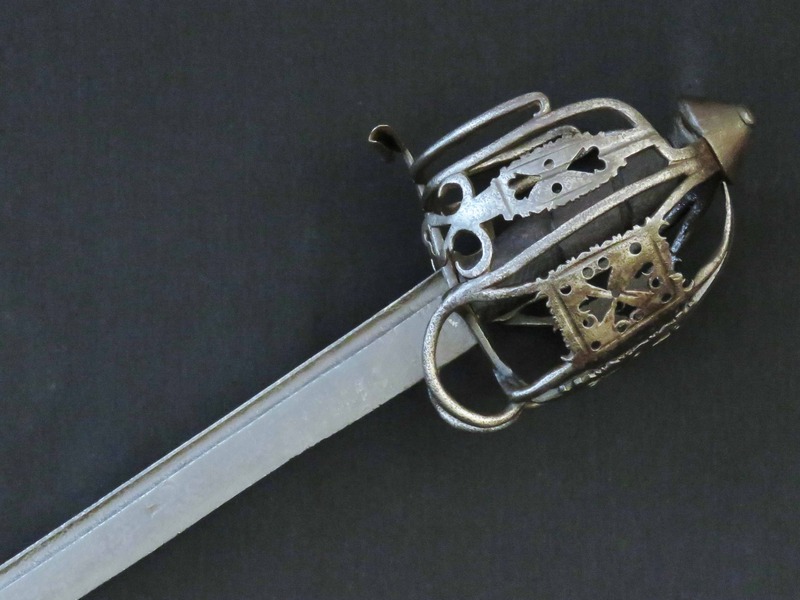 A Scottish basket hilted back sword dating to the second quarter of the 18th century. 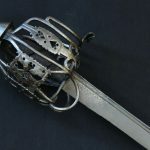 This is a good sized and imposing piece with a large fully formed basket guard and heavy blade. The side and frontal guard panels are pierced with triangles, circles and engraved with angular border line decoration and fretted at the edges with curves and merlons. The basket is of good quality built from well rounded and finished bars commonly associated with the sword slippers of Stirling. The pommel is cone shaped with four sets of lightly incised pairs of lines cut into the upper side radiating from the pommel button. 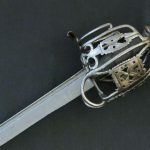 The three upper arms of the guard are securely tucked into a groove cut around the lower half. 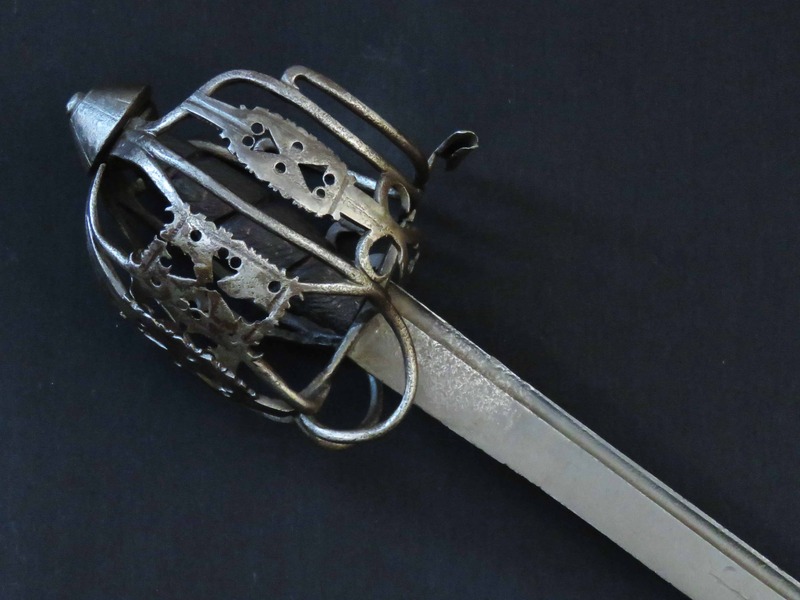 The sword hilt is tight and secure with no looseness. 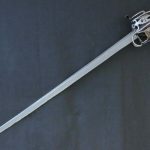 Of tapering back sword form the blade is 33.5 inches (85 cm) long, has a short ricasso and a single boldly formed fuller lying underneath the spine extending from the hilt for 24 inches (61 cm) either side of the blade. 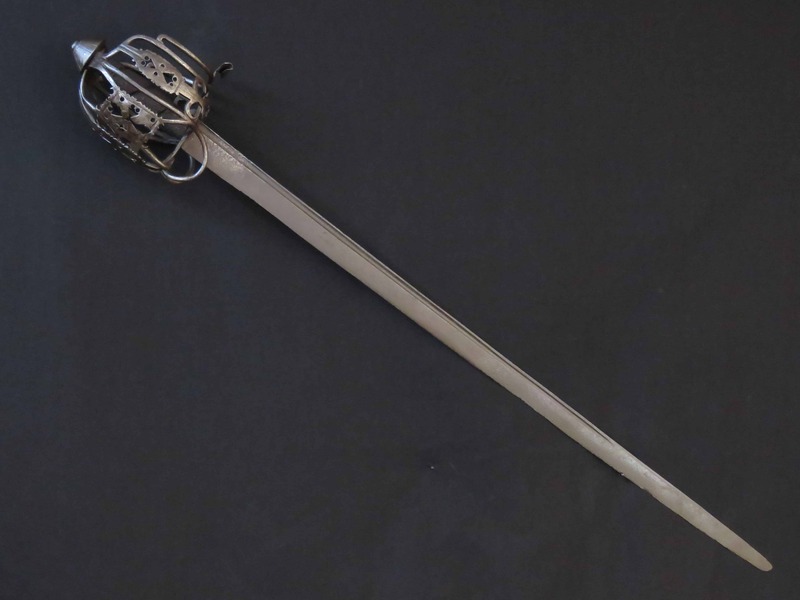 A single armourer’s mark is also present either side lying some 7.5 inches (19 cm) from the hilt which resembles a stylised anchor. 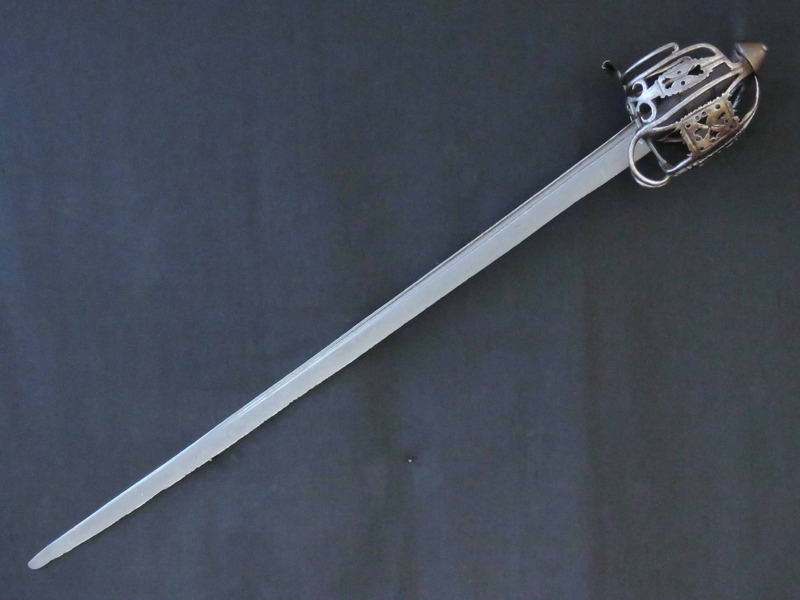 The overall length of the sword is just under 40 inches (101.5 cm). The grip is of exposed hard wood, lacking shagreen cover and wire binding. 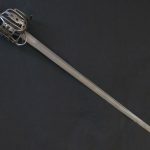 In general the sword is a good quality piece in original condition. It has pitting to the hilt and blade and is russet overall. The blade has nicks to edge. There is slight damage to the centre of one of the frontal panels.